It’s that time of year again; the cold, darkness of the winter is coming to an end and the spring is drawing ever closer, bringing with it light and new life. With the spring comes the yearly ritual of spring-cleaning. For me, this takes a few forms; I like to get rid of old clothes and clean my house from top to bottom. Digitally it’s also a perfect time of year to empty your desktop and give your blog the once-over. Blogging is eternally iterative, any seasoned blogger knows that hitting the publish button isn’t the last step of the process. But keeping old content up to date is important; Old, outdated content can lose context and end up being less than helpful for visitors who stumble upon it. 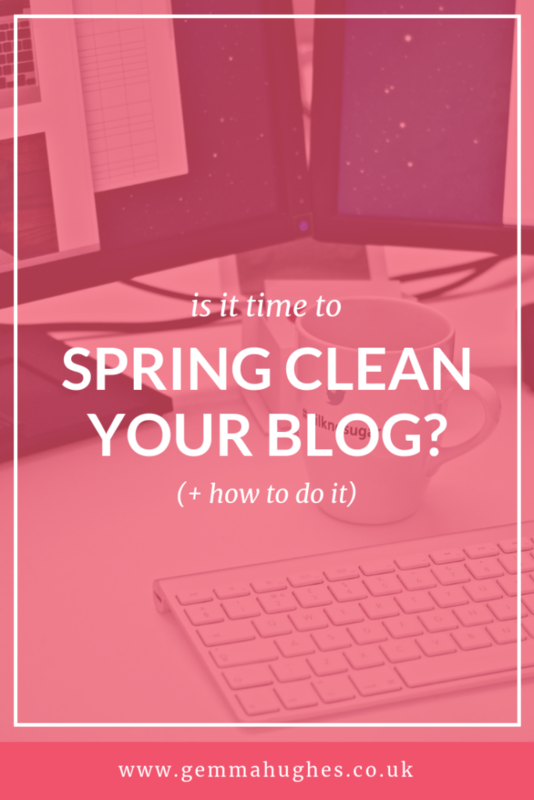 With that in mind, here’s a quick guide to spring cleaning your blog! I can’t preach enough about making the move to a self-hosted blog. If you’re currently blogging with a free platform like WordPress.com, Tumblr or Blogger, then this is an option you should really consider. If there’s one thing you do this year to grow your blog, or if you are really serious about blogging, I’d recommend going self hosted. Own your own domain, no more yourblog.wordpress.com! And, you can add ads to your site from the get-go – something usually not permitted by the free platforms. Ads mean you can start making money from your visitors. Trust me, the hosting will pay for itself! 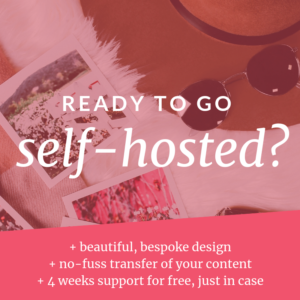 You can use my quick Guide to Setting up a Self-Hosted Blog, and if you’re a little more strapped for time check out the Self-Hosted Kick-Start Package. 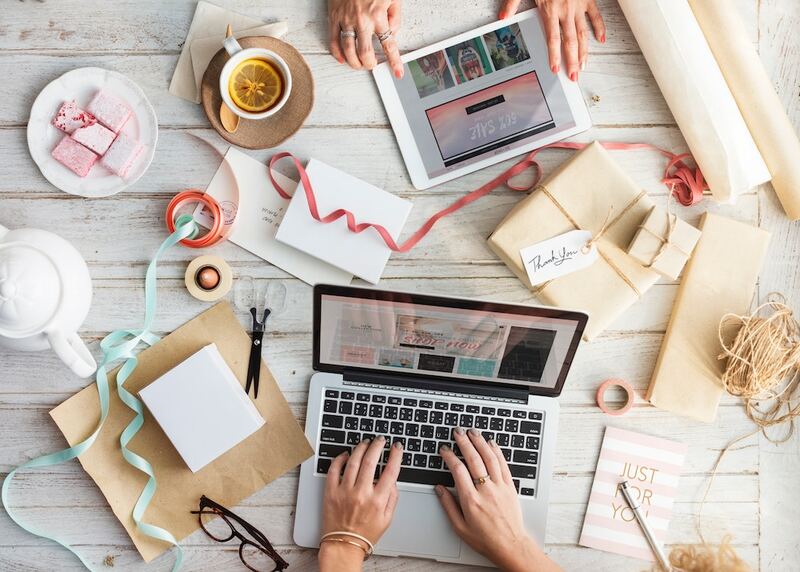 Your blog’s theme should represent you, push your brand and compliment your content. If you’ve been blogging for a while it may be that your blog’s appearance has become a bit stale. Perhaps it’s not inspiring you any longer (mine wasn’t, so I’m mid-upgrade!). If so, you might be due a theme-spring-clean! If switching up your theme is too much of an update for now, a quicker option to spruce things up is to update some old imagery. Go through some of your older blog posts and update the images for them. 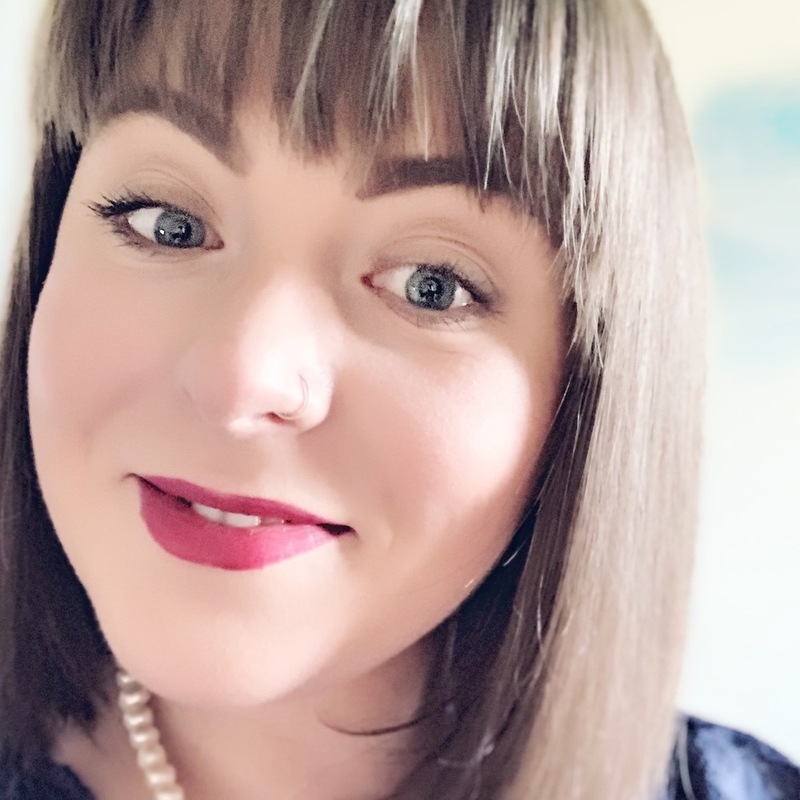 Maybe you’ve got a new camera or you’ve started editing photos slightly differently than months previously – adding some new imagery around your blog can really help liven the place up a bit! Check through some of your newer posts and compare with some older ones – are your images the same size and quality? Do they all have the same themes and general feel? If not, update your imagery to make your blog more cohesive and consistent from post to post. Over time, your voice and views will change, adapt and grow. It’s natural! Blogging is a journey, and as you come to develop new points of view or gain expertise, it’s only good practice to go back through old posts and ensure your content as up to date as possible. The easiest way to freshen up your content is to take a look at some of the older posts on your blog that are still popular. Sometimes, older content is the best performing! Re-read your old content, and ensure your advice or points are still relevant. Don’t forget to click all of the links and ensure everything points to where it should! If you come across posts with a lack of affiliate links or that don’t feed into your sales funnel, now’s the time to add them! Remember that post you wrote last year that got a tonne of page views when you first promoted it? It done really well, but you stopped promoting it in favour of your newer content, it was doing so well on its own. And now, no one seems to visit it anymore. It’s time to re-promote posts like this. Schedule some tweets, pins and facebook posts to get this content back out there for the world to see. Using a scheduling tool, like Tailwind or SocialPilot, is a great way to start promoting content on autopilot, so you don’t have to do this manually every day. Tailwind is the best tool available for keeping old content alive, hands down. If you haven’t been using Tailwind Tribes to promote your Pinterest, where have you been? Just add your pins to a Tribe and other members will share their content across their boards. Your reach will grow tenfold, maybe more, I guarantee it. Don’t forget to share your Tribemates’ content, too! Get your first month of Tailwind free, on me. How are you going to spring clean your blog this year? How do you keep your old content up to date and relevant? Let me know in the comments below.